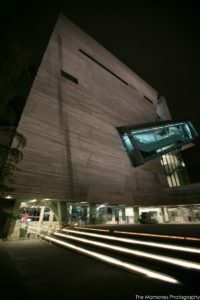 The Perot Museum features a unique glass escalator, which is especially stunning at night. The Mamomes Photography. 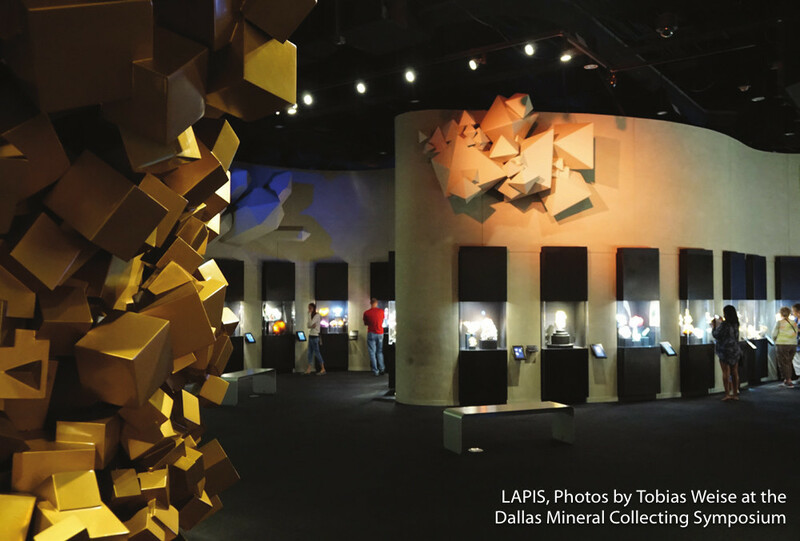 Rockhounds, geologists, and gem and mineral enthusiasts of all levels will be excited to view the new collection of fine rocks and minerals on display at the Perot Museum in Dallas, Texas. 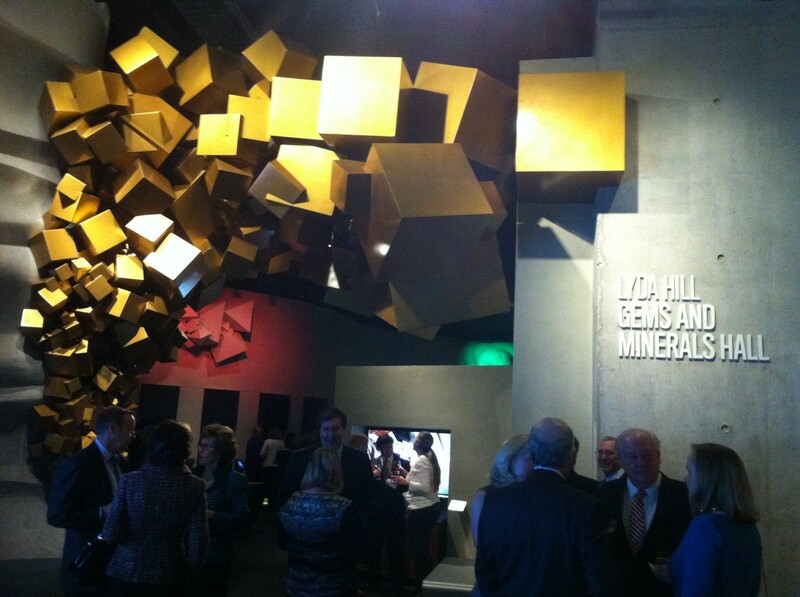 The Perot Museum's Lyda Hill Gem and Mineral Hall hosts a breathtaking array of rock and mineral specimens – most of which are on permanent or semi-permanent loan from the private collections of some of the world's most renowned gem and mineral enthusiasts. 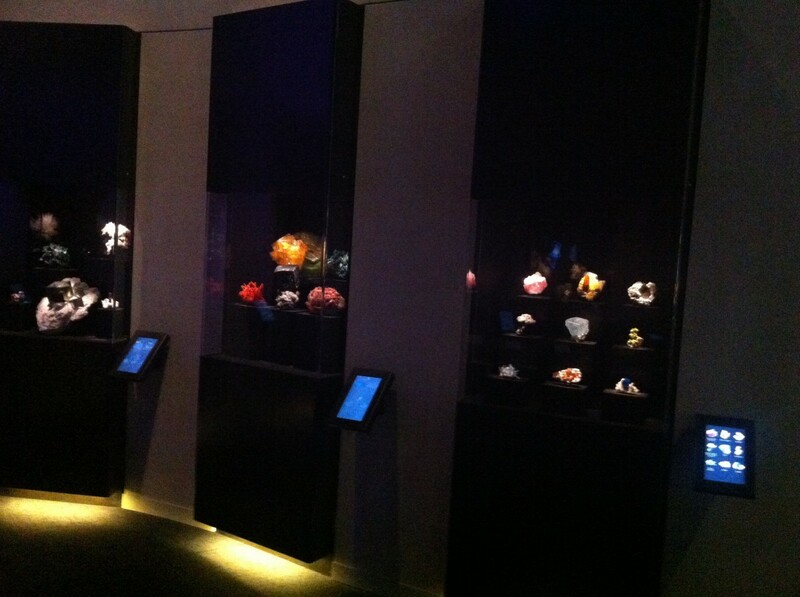 The Gem and Mineral Hall was founded through the generosity and organizational efforts of oil fortune heiress Ms. Lyda Hill, who was inspired to begin her own collection after viewing a traveling gem and mineral exhibit hosted by the Houston Museum of Natural Science. 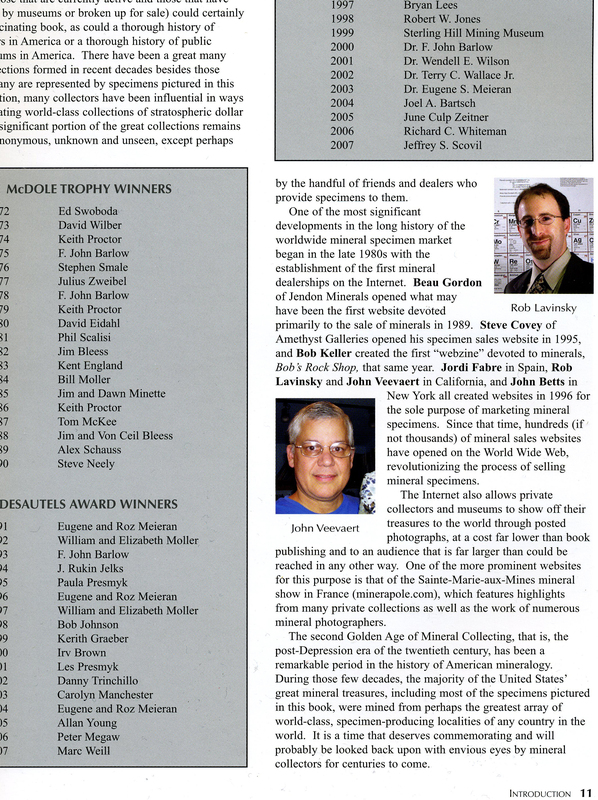 But the quality of specimens is not the only thing which makes this exhibit unique. Ms. Hill's vision for the Gem and Mineral Hall was focused on the concept of motivating youngsters to learn more about the fascinating world of gems and minerals. In hopes of exciting and inspiring younger generations, emphasis was placed on the design of an engaging exhibit, with plenty of interactive features. 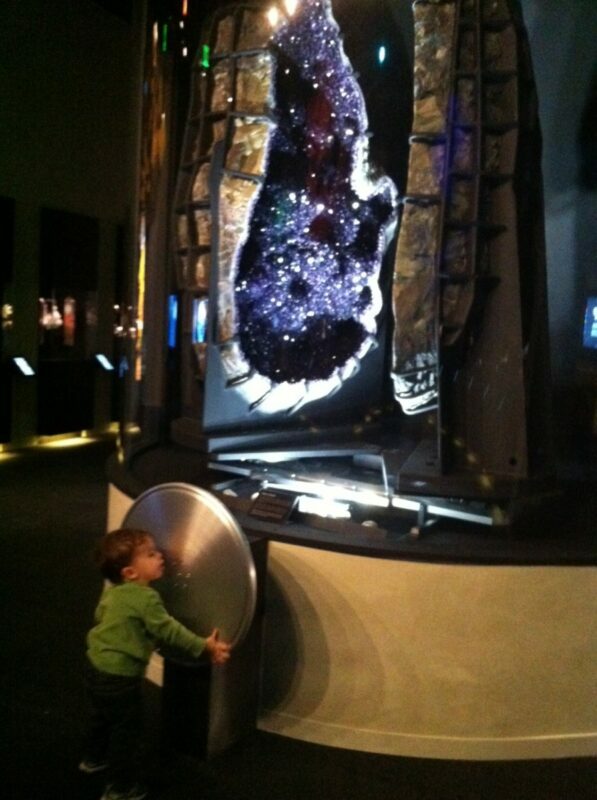 Due to a special hydraulic system, Dr. Lavinsky's son, Logan, is able to turn the wheel to open and close the giant "Grape Jelly" amethyst geode on display in the museum. 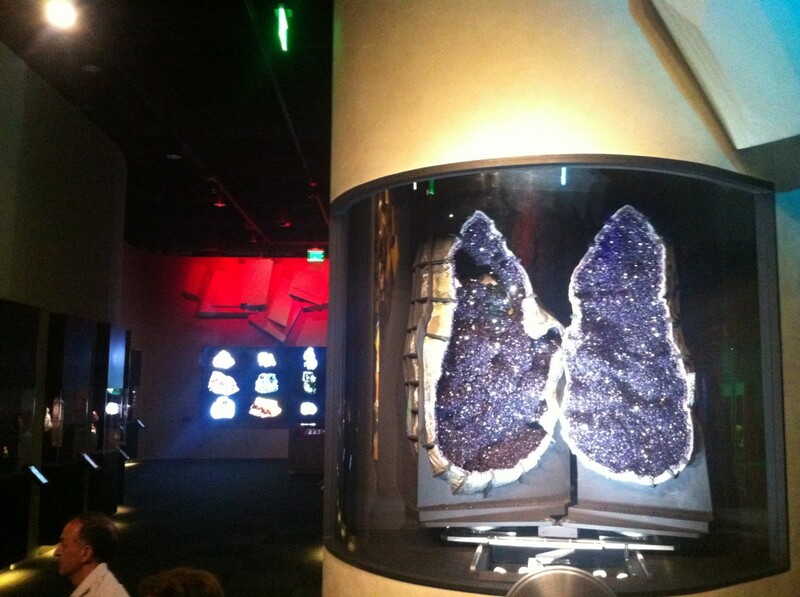 Visitors to the Lyda Hill Gem and Mineral Hall are greeted by a five foot tall specimen, lovingly nicknamed the “Grape Jelly Geode” - which can be rotated (via a hand-cranked wheel) to reveal a stunning interior, lined with amethyst crystals. 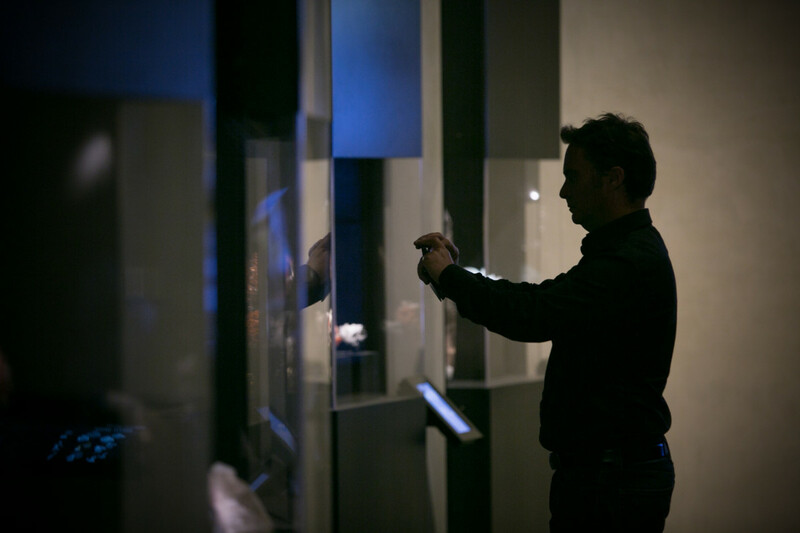 Throughout the exhibit, touchable specimens, digital puzzles, and interactive audio and video components encourage in-depth exploration of the specimens on display. Visitors are invited to participate in an engaging journey through the world of fine gems and minerals – familiarizing themselves with the qualities and concepts which define high-quality specimens, from lustrous pyrite to glowing fluorescents. The unique structure of the mineral collection there pulls from the local community. Lyda Hill's collection forms the backbone, while local collectors of these world-class natural art pieces regularly loan pieces for exhibit. Not only does this ensure that the material is always new and changing, but it also allows the Perot to exhibit high-end examples of minerals without concern for securing funding to purchase pieces. The building which houses the Lyda Hill Gem and Mineral Hall is also incredibly unique. Founded through the generosity of private donations, no expense was spared in the design and construction of the building – resulting in the creation of 11 state-of-the-art interactive exhibits, all housed within a sustainable structure, which leverages its own design to showcase the usefulness and practicality of eco-conscious improvements such as rainwater collection and catchment, a 1-acre “green roof” drought-resistant garden, off-grid energy, solar-powered water heating, and more. The building's architecture integrates concepts of technology and nature, in order to demonstrate scientific principles of conservation, and act as a tangible and functional example of conscious engineering, technology, and sustainability. 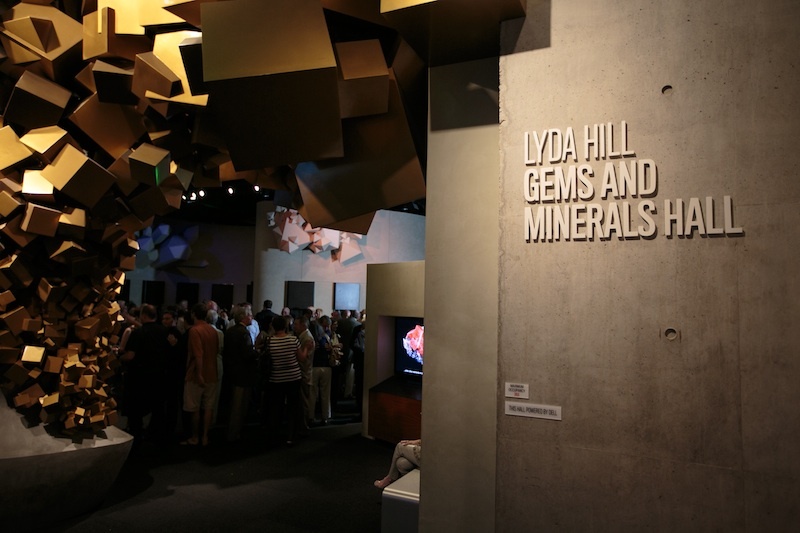 The Perot Museum's Lyda Hill Gem and Mineral Hall is incredibly popular – which means it is important to plan your trip in advance. Detailed information regarding scheduling and visitation can be obtained through the visitor's page, here.